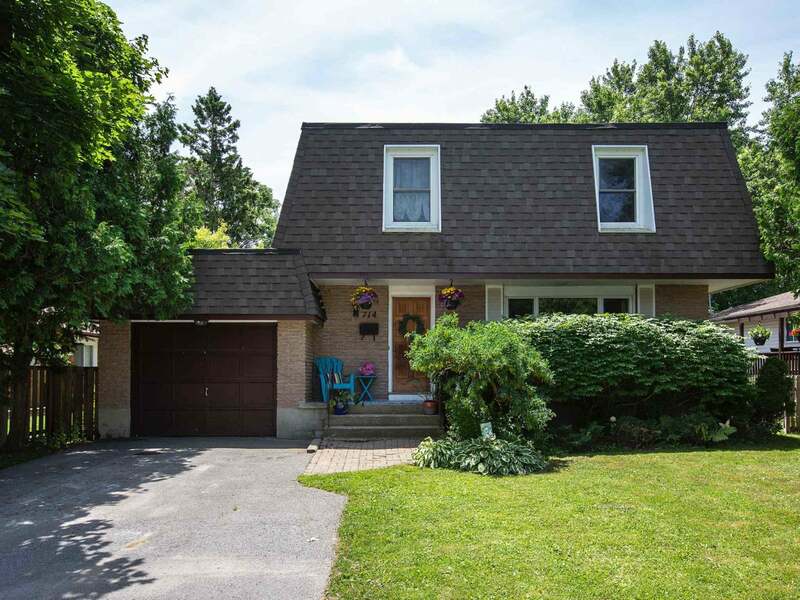 Located on a quiet crescent in popular family friendly neighbourhood. This home offers 4 bedrooms, 1.5 baths and beautiful mature rear yard. Large foyer, bright open living and dining rooms with hardwood floors and patio door to rear deck and fully fenced rear yard. Updated kitchen with newer stainless steel appliances including gas range! Upstairs offers 4 bedrooms with hardwood floors, 4-piece main bath with jacuzzi tub. Main floor powder room plus entry from house to attached 1 car garage with rear door to backyard. Finished lower level with rec room and storage/utility area with washer/dryer included! Paved parking for 3, nicely landscaped plus updated shingles, windows, furnace and central air in 2012, Kitchen cabinets/flooring 2013, High efficiency washer/dryer 2013 and new kitchen appliances in 2016. Close to bus route, parks, schools and all west end amenities. Call to view before it’s too late! Lot Size 54 x 120 Sq. Ft.